Somewhere between an ICEE and a sorbet lies Italian ice. Not as slushy as the former, not as firm as the latter, it's its own kind of confection. It is able to stick to an inverted spoon, but melts in a hurry in the mouth. And then there's the fruit. Actual pieces of it are whirred up into the slurry. There's enough per spoonful that you'll chew the coconut shreds, get the strawberry seeds stuck in between your teeth, and detect the distinct meatiness of mango. And that's not all. 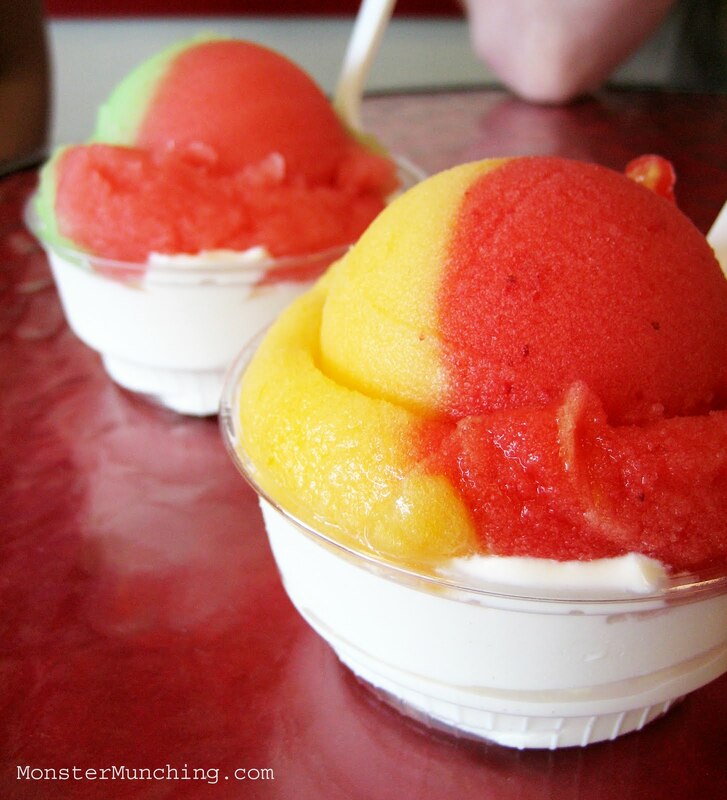 Italian ices are typically eaten with ice cream, usually vanilla. The resulting concoction is a happy mix of dairy and fruit...sort of like a deconstructed Creamsicle. Frostbites in Cypress calls the mash-up "sorbet cream". Have the Italian ice plain, and they dub it "sorbet chill". Either way: brain freeze, and a frozen dessert that doesn't involve the word "yogurt". 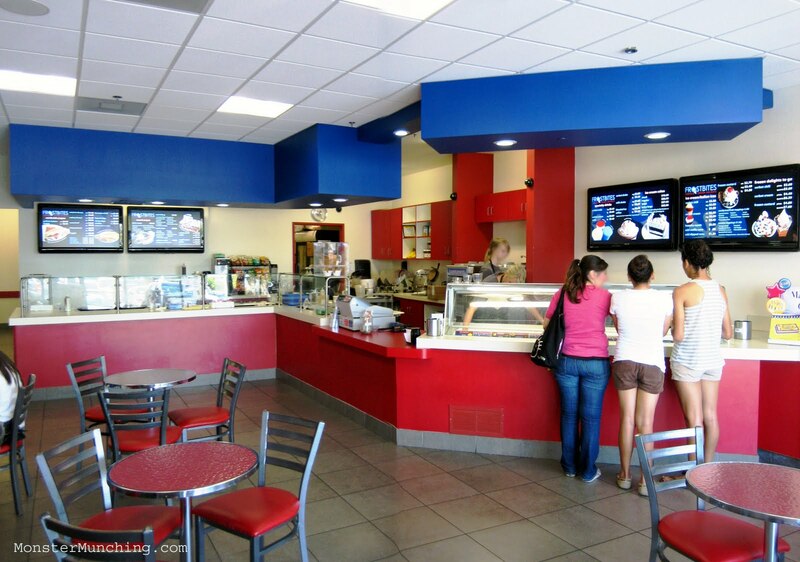 It's not the only Italian ice joint in O.C., but it is the first outpost of this particular brand, which started in Riverside a few years ago. And I welcome it. Now that we're seeing the Great Frogurt Melt, I'll go out on a limb and say that this just might be the next big thing. Gentle dessert entrepreneurs, start your freezers. 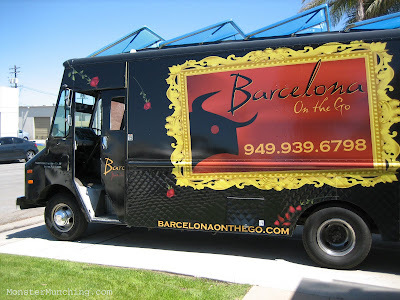 Barcelona OnTheGo embodies everything that excites and infuriates me about this whole food truck craze. The part that frustrates is the thing that makes it unique: it's mobile. Call me lazy, or old fashioned, or just old; but I'm exhausted. I've grown tired of all the logistics involved with just grabbing a bite at these new age food trucks. The Twitter tracking. The Google map locating. The line waiting. The unpredictable parking. It's just a lot of work. It speaks to my short attention span and impatience that my favorite food truck is Alebrije's, an old-school lonchera which does not have a Twitter account. Why? It's always parked at the same spot on Cubbon Street in Santa Ana from morning to night, there when I want it. I admit, the first few times I caught up with Kogi, the one that started it all, I enjoyed the chase. It was a fun, silly adventure. But with repetition comes ambivalence, then indifference, then annoyance. If the Coyote ever caught the Road Runner, he wouldn't be so eager to jump on top of that Acme rocket to do it again, and again, and again. To eat at Barcelona OnTheGo, it took planning and a half hour of driving. Later, when I got back to the office, I was spent. 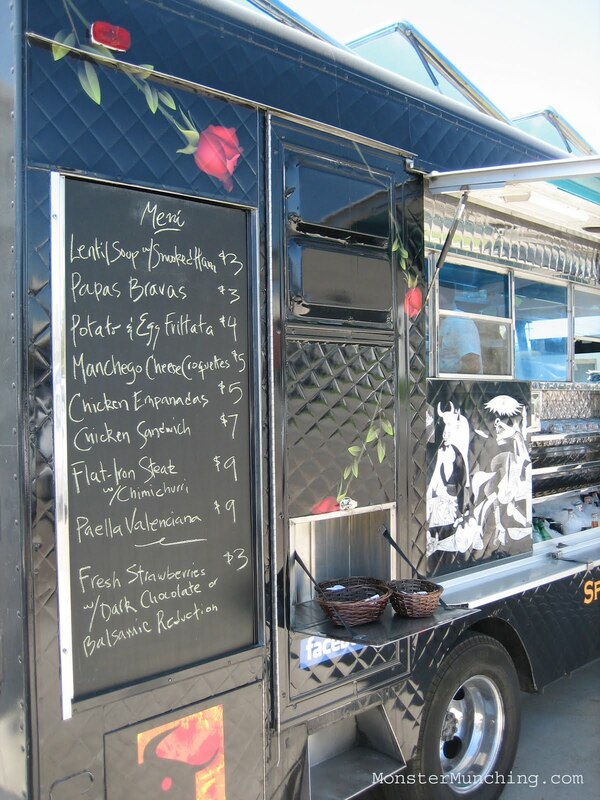 But with that said, food trucks offers something a brick-and-mortar restaurant often doesn't: accessibility and a real relationship to the people who make your food. It's particularly true with BOTG, which is helmed by a charming fella named Esteban. He and people like him are the reason I'm still on board with the idea of it all. He is the consummate people person. He has groupies (you know who you are!). He'll shake your hand, ask you what you like and genuinely care whether you are enjoying his food. He knows every customer by name. And by the time I finished my lunch, he knew mine (though not that I was food reviewer) and I learned more about his cooking than if his was a standard restaurant. For instance, he volunteered where he bought his seafood (H-Mart), how much the saffron he uses for his paella costs (too much), and what kind of box he keeps it in (tin, with a lid). He even offered me a half-portion of paella on the house when he conceded that he ran out of it when I first ordered. And it was one of the better paellas I've had in a while, with the rice a firm toothsome texture, the shrimp well-cooked, the mussels briny, and the chicken slightly overdone. Each grain of the starch was practically glowing yellow with that costly saffron. To finish the grilled flat-iron steak I ordered, he slathered an herby, oily chimichurri as green as lawn clippings. The dish revealed Esteban's Argentinean roots before he told me himself. And the fact there was hand cut fries on the side meant that I was essentially eating French brasserie steak frites out of a paper basket and while standing. 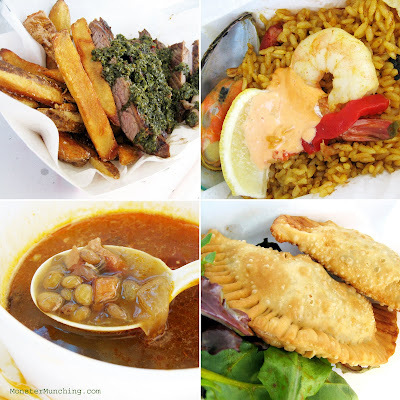 I used the excess chimichurri to dab on the bitten end of my empanada, which featured chunks of white meat chicken and was so hot off the fryer it singed my upper palate. Same with a steaming styrofoam bowl of a light but spicy lentil and smoked ham soup. I stole a sip from Brekkie Fan, who ordered it with her sandwich. It seemed silly to eat it in 80 degree weather, but then, so is gourmet soup out of a roach coach. Whatever you may think of this food truck trend/fad/craze, ultimately the question you have to ask is this: Would I like the food if it were served in a restaurant? With Barcelona OnTheGo, I would actually like it better. I've reviewed Nice Time Deli before. 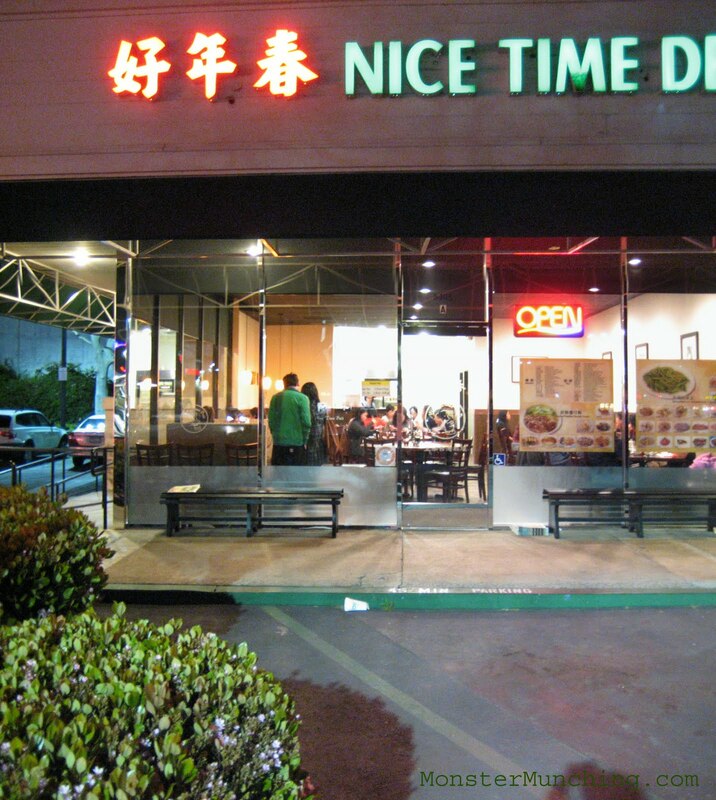 But Nice Time Deli is no longer what it used to be: it's prettier now. It gleams like Steve Wynn got through with it. I went in recently after a long absence and didn't recognize the place. This is the extreme makeover it desperately needed. Amazing what a few new chairs, a fresh paint job, and pendant lamps can do to a restaurant that previously looked so depressing it seemed like a droopy caricature of every long-toothed Asian hole-in-the-wall on SGV's Valley Blvd. stuck sometime in the early 80s. 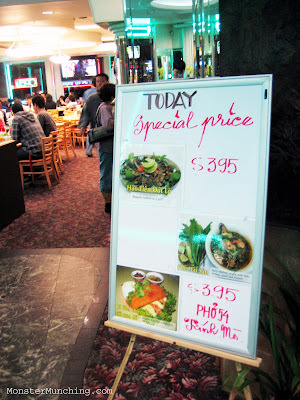 After decades of service, I think it came to a point where the menus were practically disintegrating and the tables were buffed down to bald spots where thousands of elbows had rested. These days, Nice Time Deli is looking fresher than even Tapioca Express a few doors down, which used to be the new kid on the block, now itself a little worn. Of course, as with any cosmetic surgery, there is a cost: the dishes have all increased in price by a few cents here, a few dollars there. 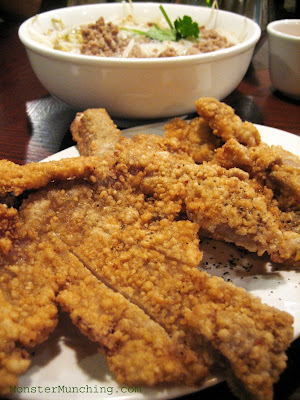 But in my opinion, they still make the best fried pork chop at any price. And it's the real reason I keep coming. Not for the surroundings. Not even for the noodle soup that my pork chop came with. The latter is like the bread in a Langer's pastrami sandwich--essential, but only because you'd feel silly eating the pastrami plain with a knife and fork. 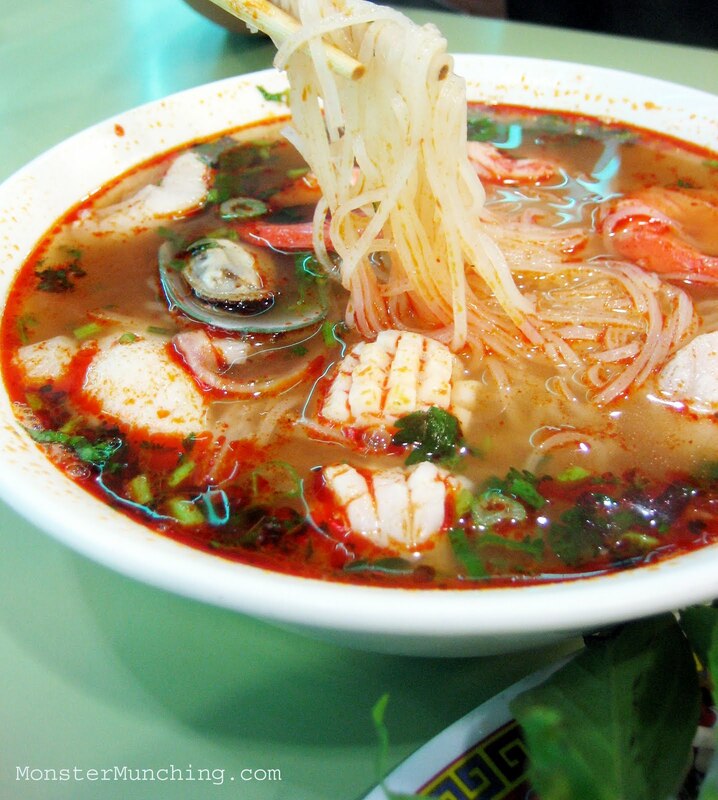 You order the noodle soup for the pork chop, not the other way around. 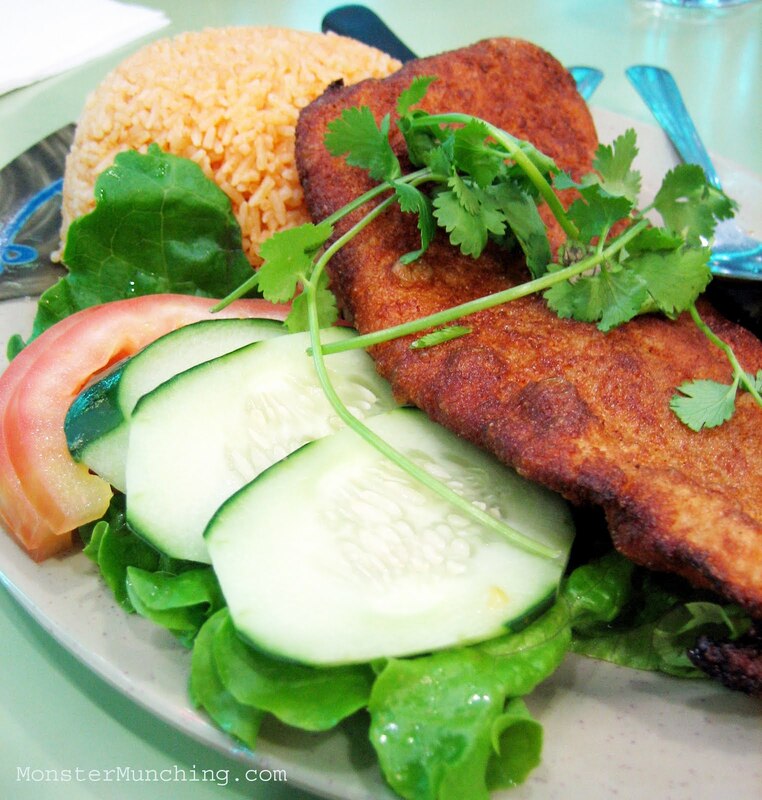 It's as wide as baseball mitt, slit into finger-like flaps up the bone and then covered in an impossibly golden, crunchy, bubbled covering of batter that's fused to every inch of meat. Every bite rattles your teeth with its crackle and singes your upper palate because it's hot out of the fryer. It is, all at once, sugary, peppery, salty, crispy and chewy -- a deep fried pork concoction that fulfills your chicken-fried food jones ten times over. Yes, Nice Time Deli may look like it belongs in the Bellagio now. But that pork chop would taste good even if it remained as dated as Circus Circus.